The author selected Girls Who Code to receive a donation as part of the Write for DOnations program. Computer vision is a subfield of computer science that aims to extract a higher-order understanding from images and videos. This field includes tasks such as object detection, image restoration (matrix completion), and optical flow. Computer vision powers technologies such as self-driving car prototypes, employee-less grocery stores, fun Snapchat filters, and your mobile device’s face authenticator. In this tutorial, you will explore computer vision as you use pre-trained models to build a Snapchat-esque dog filter. For those unfamiliar with Snapchat, this filter will detect your face and then superimpose a dog mask on it. You will then train a face-emotion classifier so that the filter can pick dog masks based on emotion, such as a corgi for happy or a pug for sad. Along the way, you will also explore related concepts in both ordinary least squares and computer vision, which will expose you to the fundamentals of machine learning. 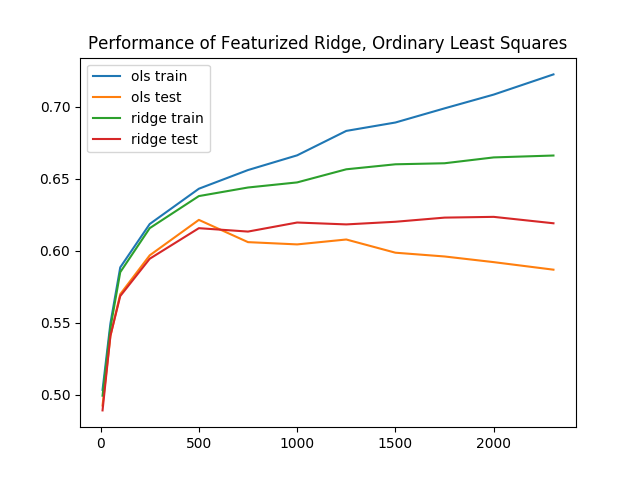 Ordinary least squares as a regression and classification technique. The basics of stochastic gradient neural networks. Fundamental linear algebra concepts: scalars, vectors, and matrices. Fundamental calculus: how to take a derivative. You can find the complete code for this tutorial at https://github.com/do-community/emotion-based-dog-filter. The prompt changes, indicating the environment is active. Now install PyTorch, a deep-learning framework for Python that we'll use in this tutorial. The installation process depends on which operating system you're using. 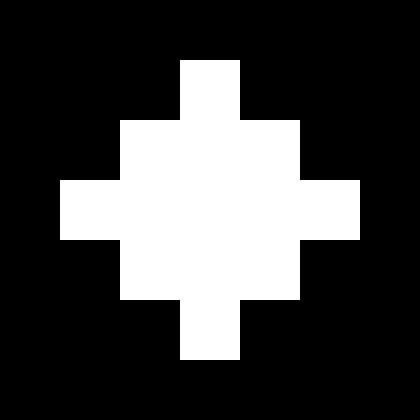 Now install prepackaged binaries for OpenCV and numpy, which are computer vision and linear algebra libraries, respectively. The former offers utilities such as image rotations, and the latter offers linear algebra utilities such as a matrix inversion. With the dependencies installed, let's build the first version of our filter: a face detector. Our first objective is to detect all faces in an image. We'll create a script that accepts a single image and outputs an annotated image with the faces outlined with boxes. Fortunately, instead of writing our own face detection logic, we can use pre-trained models. We'll set up a model and then load pre-trained parameters. OpenCV makes this easy by providing both. The -O option specifies the destination as assets/haarcascade_frontalface_default.xml. The second argument is the source URL. 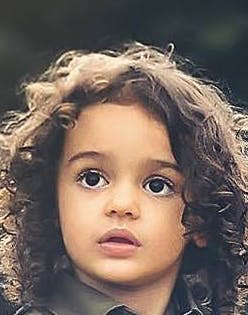 We'll detect all faces in the following image from Pexels (CC0, link to original image). To check that the detection algorithm works, we will run it on an individual image and save the resulting annotated image to disk. Create an outputs folder for these annotated results. Add the following code to the file. This code imports OpenCV, which contains the image utilities and face classifier. The rest of the code is typical Python program boilerplate. Next, add this line to load the image children.png. Then use OpenCV's detectMultiScale function to detect all faces in the image. 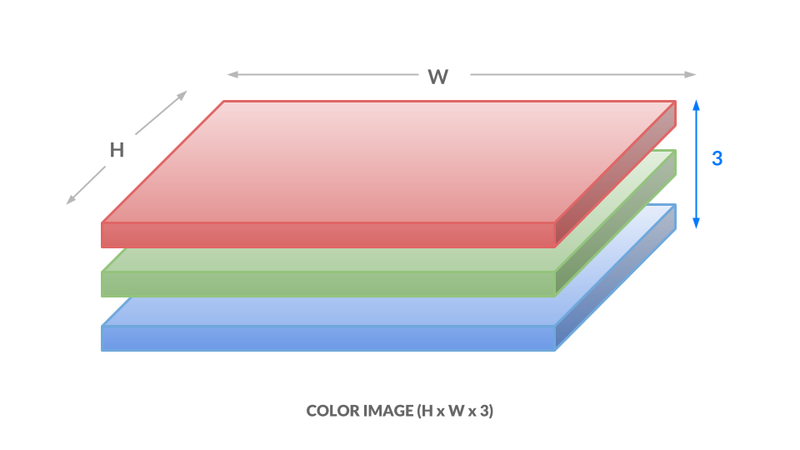 scaleFactor specifies how much the image is reduced along each dimension. minNeighbors denotes how many neighboring rectangles a candidate rectangle needs to be retained. minSize is the minimum allowable detected object size. Objects smaller than this are discarded. The return type is a list of tuples, where each tuple has four numbers denoting the minimum x, minimum y, width, and height of the rectangle in that order. The second and third arguments are opposing corners of the rectangle. The fourth argument is the color to use. (0, 255, 0) corresponds to green for our RGB color space. The last argument denotes the width of our line. """Tests face detection for a static image.""" At this point, you have a working face detector. It accepts an image as input and draws bounding boxes around all faces in the image, outputting the annotated image. Now let's apply this same detection to a live camera feed. Starting from the line defining frame, indent all of your existing code, placing all of the code in a while loop. The line cv2.waitkey(1) halts the program for 1 millisecond so that the captured image can be displayed back to the user. Finally, release the capture and close all windows. Place this outside of the while loop to end the main function. """Test for face detection on video camera. Move your face around and a green box will identify your face. With the test frame in focus, hit `q` to exit. Note that typing `q` into your terminal will do nothing. Save the file and exit your editor. Now run the test script. Note: If you find that you have to hold very still for things to work, the lighting in the room may not be adequate. Try moving to a brightly lit room where you and your background have high constrast. Also, avoid bright lights near your head. For example, if you have your back to the sun, this process might not work very well. Our next objective is to take the detected faces and superimpose dog masks on each one. 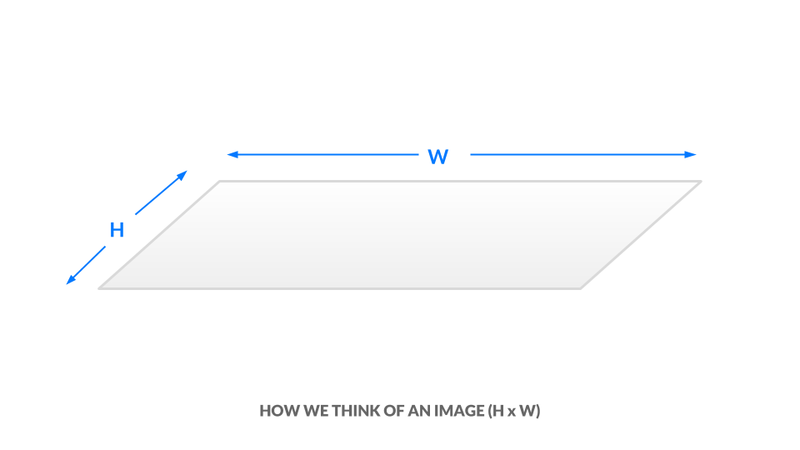 Before we build the filter itself, let's explore how images are represented numerically. This will give you the background needed to modify images and ultimately apply a dog filter. Let's look at an example. We can construct a black-and-white image using numbers, where 0 corresponds to black and 1 corresponds to white. Focus on the dividing line between 1s and 0s. What shape do you see? We can use any value between 0 and 1, such as 0.1, 0.26, or 0.74391. Numbers closer to 0 are darker and numbers closer to 1 are lighter. This allows us to represent white, black, and any shade of gray. This is great news for us because we can now construct any grayscale image using 0, 1, and any value in between. Consider the following, for example. Can you tell what it is? Again, each number corresponds to the color of a pixel. You've now seen how black-and-white and grayscale images are represented numerically. To introduce color, we need a way to encode more information. 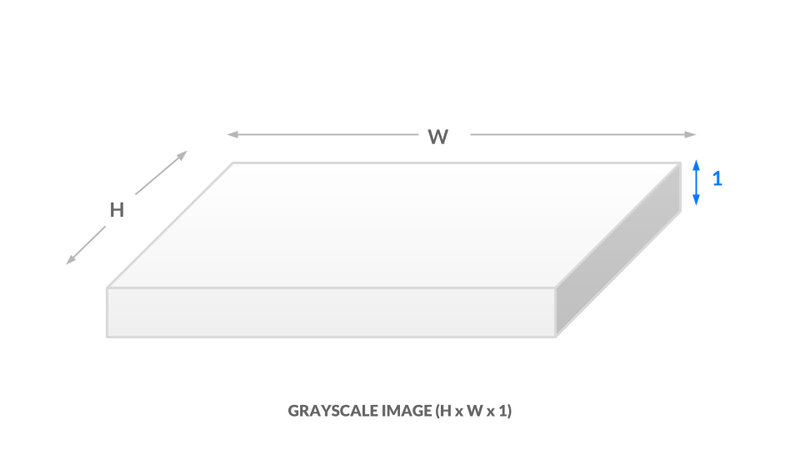 An image has its height and width expressed as h x w.
In the current grayscale representation, each pixel is one value between 0 and 1. We can equivalently say our image has dimensions h x w x 1. In other words, every (x, y) position in our image has just one value. Each image will be represented as a box of numbers that has three dimensions: height, width, and color channels. Manipulating this box of numbers directly is equivalent to manipulating the image. We can also flatten this box to become just a list of numbers. In this way, our image becomes a vector. Later on, we will refer to images as vectors. Now that you understand how images are represented numerically, you are well-equipped to begin applying dog masks to faces. 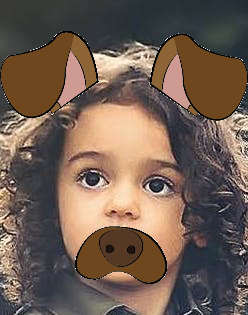 To apply a dog mask, you will replace values in the child image with non-white dog mask pixels. To start, you will work with a single image. Download this crop of a face from the image you used in Step 2. 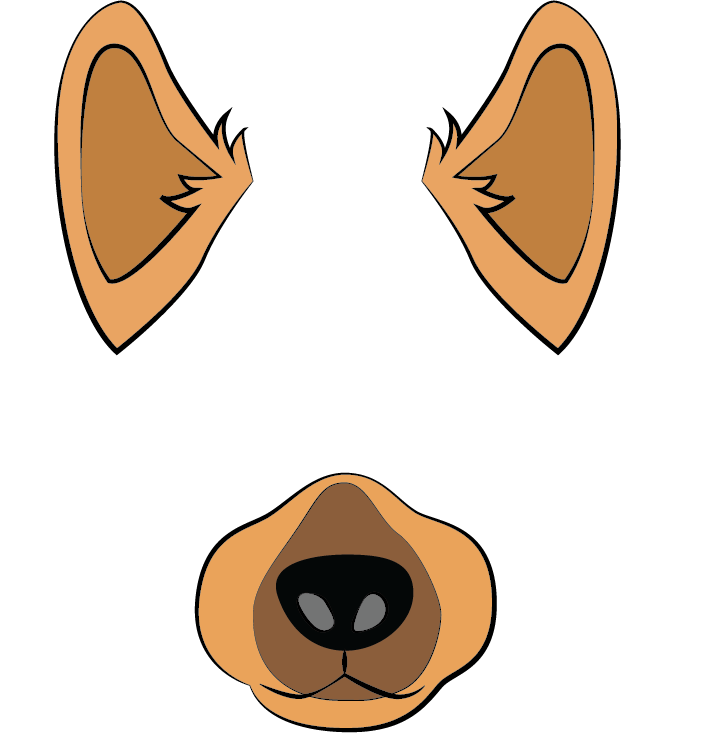 Additionally, download the following dog mask. 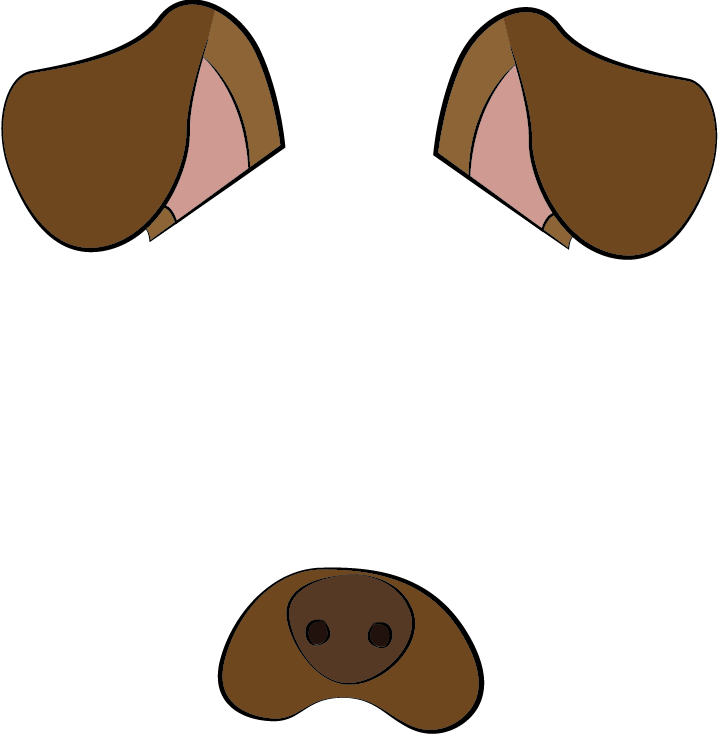 The dog masks used in this tutorial are my own drawings, now released to the public domain under a CC0 License. """Test for adding dog mask"""
Replace pass in the main function with these two lines which load the original image and the dog mask into memory. """Add the mask to the provided face, and return the face with mask.""" Here we cast the numbers to integers, as the resize function needs integral dimensions. Open the image at outputs/resized_dog.png to double-check the mask was resized correctly. It will match the dog mask shown earlier in this section. You now have a utility that applies dog masks to faces. Now let's use what you've built to add the dog mask in real time. We'll pick up from where we left off in Step 3. Copy step_3_camera_face_detect.py to step_4_dog_mask.py. In its place, add this code which crops the frame. For aesthetic purposes, we crop an area slightly larger than the face. Introduce a check in case the detected face is too close to the edge. Finally, insert the face with a mask into the image. Move your face around and a dog filter will be applied to your face if it is not out-of-bounds. With the test frame in focus, hit `q` to exit. Note that typing `q` into your terminal will do nothing. Save the file and exit your editor. Then run the script. You now have a real-time dog filter running. The script will also work with multiple faces in the picture, so you can get your friends together for some automatic dog-ification. This concludes our first primary objective in this tutorial, which is to create a Snapchat-esque dog filter. Now let's use facial expression to determine the dog mask applied to a face. In this section you'll create an emotion classifier to apply different masks based on displayed emotions. If you smile, the filter will apply a corgi mask. If you frown, it will apply a pug mask. Along the way, you'll explore the least-squares framework, which is fundamental to understanding and discussing machine learning concepts. To understand how to process our data and produce predictions, we'll first briefly explore machine learning models. Input: What information is the model given? Output: What is the model trying to predict? Input: given images of faces. Output: predicts the corresponding emotion. 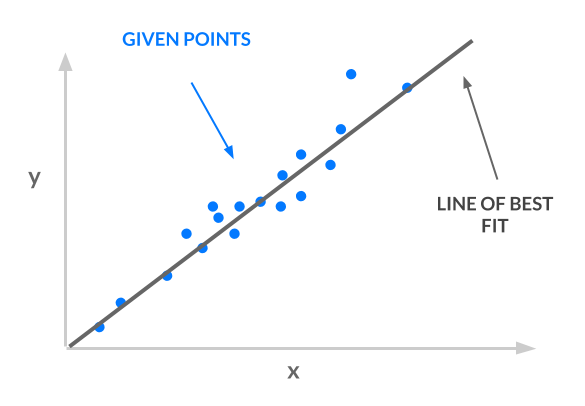 The approach we'll use is least squares; we take a set of points, and we find a line of best fit. The line of best fit, shown in the following image, is our model. Output: predicts the corresponding $y$ coordinate. x -> face: Instead of using one number for x, we will use a vector of values for x. 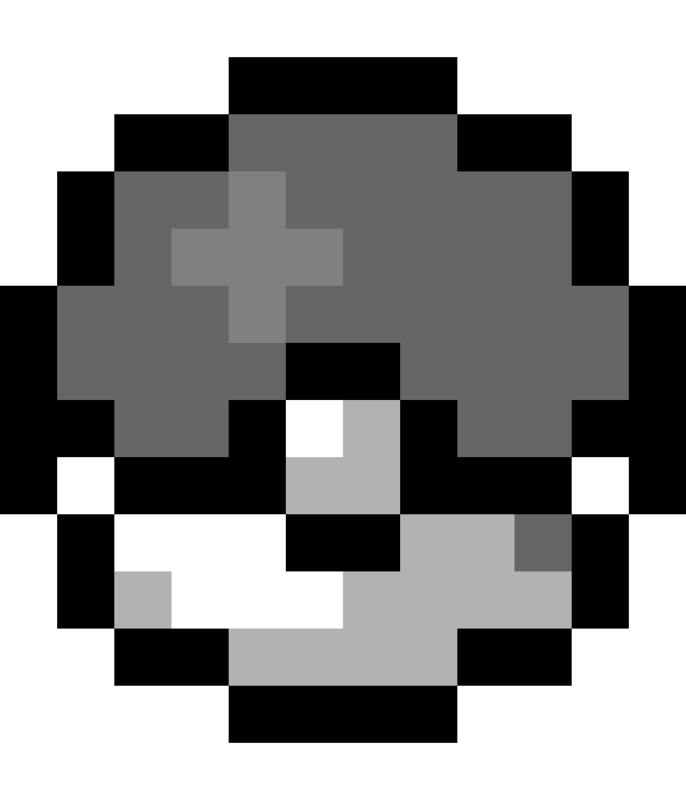 Thus, x can represent images of faces. The article Ordinary Least Squares explains why you can use a vector of values for x.
y -> emotion: Each emotion will correspond to a number. For example, "angry" is 0, "sad" is 1, and "happy" is 2. In this way, y can represent emotions. However, our line is not constrained to output the y values 0, 1, and 2. It has an infinite number of possible y values–it could be 1.2, 3.5, or 10003.42. How do we translate those y values to integers corresponding to classes? See the article One-Hot Encoding for more detail and explanation. Preprocess the data: As explained at the start of this section, our samples are vectors where each vector encodes an image of a face. Our labels are integers corresponding to an emotion, and we'll apply one-hot encoding to these labels. Specify and train the model: Use the closed-form least squares solution, w^*. Run a prediction using the model: Take the argmax of Xw^* to obtain predicted emotions. Then download the data, curated by Pierre-Luc Carrier and Aaron Courville, from a 2013 Face Emotion Classification competition on Kaggle. Navigate to the data directory and unpack the data. """Train emotion classifier using least squares.""" Here, we use the fact that the i-th row in the identity matrix is all zero, except for the i-th entry. Thus, the i-th row is the one-hot encoding for the label of class i. Additionally, we use numpy's advanced indexing, where [a, b, c, d][[1, 3]] = [b, d]. To estimate labels, we take the inner product with each sample and get the indices of the maximum values using np.argmax. Then we compute the average number of correct classifications. This final number is your accuracy. Save your file, exit your editor, and run the Python script. Our model gives 47.5% train accuracy. We repeat this on the validation set to obtain 45.3% accuracy. For a three-way classification problem, 45.3% is reasonably above guessing, which is 33%​. This is our starting classifier for emotion detection, and in the next step, you'll build off of this least-squares model to improve accuracy. The higher the accuracy, the more reliably your emotion-based dog filter can find the appropriate dog filter for each detected emotion. We can use a more expressive model to boost accuracy. To accomplish this, we featurize our inputs. The original image tells us that position (0, 0) is red, (1, 0) is brown, and so on. A featurized image may tell us that there is a dog to the top-left of the image, a person in the middle, etc. Featurization is powerful, but its precise definition is beyond the scope of this tutorial. We'll use an approximation for the radial basis function (RBF) kernel, using a random Gaussian matrix. We won't go into detail in this tutorial. Instead, we'll treat this as a black box that computes higher-order features for us. We'll start by creating the featurizing random matrix. Again, we'll use only 100 features in our new feature space. Then replace the definitions for A_train and A_test. We redefine our matrices, called design matrices, using this random featurization. Save your file and run the script. This featurization now offers 58.4% train accuracy and 58.4% validation accuracy, a 13.1% improvement in validation results. We trimmed the X matrix to be 100 x 100, but the choice of 100 was arbirtary. We could also trim the X matrix to be 1000 x 1000 or 50 x 50. Say the dimension of x is d x d. We can test more values of d by re-trimming X to be d x d and recomputing a new model. As we keep more of our data, the gap between the training and validation accuracies increases as well. This is clear evidence of overfitting, where our model is learning representations that are no longer generalizable to all data. To combat overfitting, we'll regularize our model by penalizing complex models. Still using the featurized samples, retrain and reevaluate the model once more. There's an additional improvement of 0.4% in validation accuracy to 62.2%, as train accuracy drops to 65.1%. Once again reevaluating across a number of different d, we see a smaller gap between training and validation accuracies for ridge regression. In other words, ridge regression was subject to less overfitting. Baseline performance for least squares, with these extra enhancements, performs reasonably well. 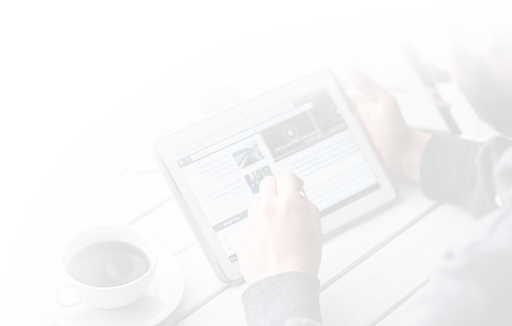 The training and inference times, all together, take no more than 20 seconds for even the best results. In the next section, you'll explore even more complex models. In this section, you'll build a second emotion classifier using neural networks instead of least squares. Again, our goal is to produce a model that accepts faces as input and outputs an emotion. Eventually, this classifier will then determine which dog mask to apply. Preprocess the data: Apply one-hot encoding and then apply PyTorch abstractions. Specify and train the model: Set up a neural network using PyTorch layers. Define optimization hyperparameters and run stochastic gradient descent. Run a prediction using the model: Evaluate the neural network. and Aaron Courville in 2013. Each sample is 1 x 1 x 48 x 48, and each label is a scalar. This function starts by loading the samples and labels. Then it wraps the data in PyTorch data structures. This code initializes the dataset using the Fer2013Dataset class you created. Then for the train and validation sets, it wraps the dataset in a DataLoader. This translates the dataset into an iterable to use later. Exit your editor and run the script. Now that you've verified that the data pipeline works, return to step_7_fer_simple.py to add the neural network and optimizer. Open step_7_fer_simple.py. We'll train for two epochs. For now, we define an epoch to be an iteration of training where every training sample has been used exactly once. You can then augment this script using a number of other PyTorch utilities to save and load models, output training and validation accuracies, fine-tune a learning-rate schedule, etc. 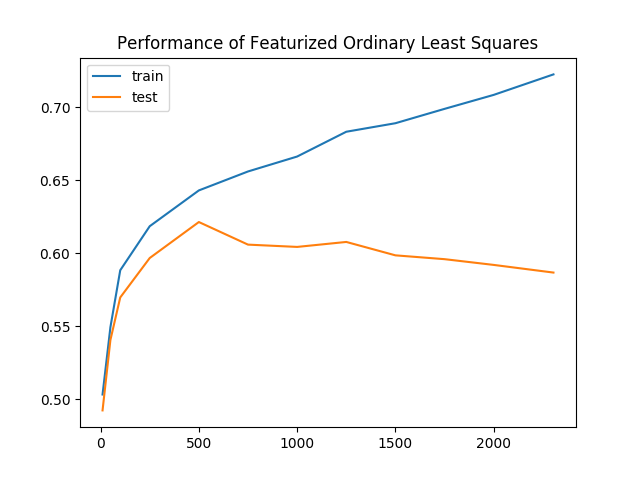 After training for 20 epochs with a learning rate of 0.01 and momentum of 0.9, our neural network attains a 87.9% train accuracy and a 75.5% validation accuracy, a further 6.8% improvement over the most successful least-squares approach thus far at 66.6%. We'll include these additional bells and whistles in a new script. Create a new file to hold the final face emotion detector which your live camera feed will use. This script contains the code above along with a command-line interface and an easy-to-import version of our code that will be used later. Additionally, it contains the hyperparameters tuned in advance, for a model with higher accuracy. Start with the following imports. This matches our previous file but additionally includes OpenCV as import cv2. """Evaluate neural network outputs against non-one-hotted labels.""" """Evaluate neural network in batches, if dataset is too large.""" """Returns predictor, from image to emotion index.""" """Translates images into emotion indices.""" This loads a pretrained neural network and evaluates its performance on the provided Face Emotion Recognition dataset. Specifically, the script outputs accuracy on the images we used for training, as well as a separate set of images we put aside for testing purposes. At this point, you've built a pretty accurate face-emotion classifier. In essence, our model can correctly disambiguate between faces that are happy, sad, and surprised eight out of ten times. This is a reasonably good model, so you can now move on to using this face-emotion classifier to determine which dog mask to apply to faces. Open the new Python script. Add a line break, and then add this code to create the emotion predictor. Now try it out! Smiling will register as "happy" and show the original dog. 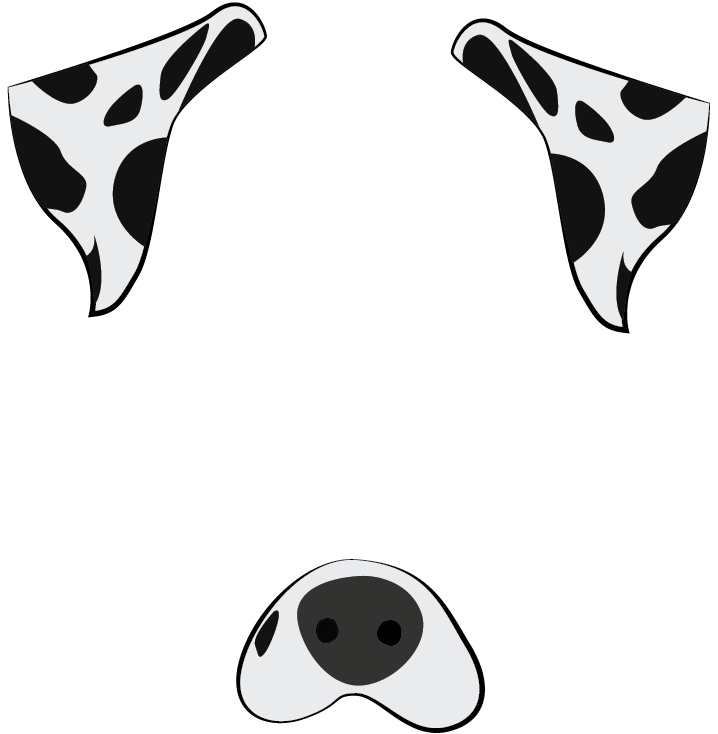 A neutral face or a frown will register as "sad" and yield the dalmation. A face of "surprise," with a nice big jaw drop, will yield the sheepdog. This concludes our emotion-based dog filter and foray into computer vision. In this tutorial, you built a face detector and dog filter using computer vision and employed machine learning models to apply masks based on detected emotions. Machine learning is widely applicable. However, it's up to the practitioner to consider the ethical implications of each application when applying machine learning. The application you built in this tutorial was a fun exercise, but remember that you relied on OpenCV and an existing dataset to identify faces, rather than supplying your own data to train the models. The data and models used have significant impacts on how a program works. For example, imagine a job search engine where the models were trained with data about candidates. such as race, gender, age, culture, first language, or other factors. And perhaps the developers trained a model that enforces sparsity, which ends up reducing the feature space to a subspace where gender explains most of the variance. As a result, the model influences candidate job searches and even company selection processes based primarily on gender. Now consider more complex situations where the model is less interpretable and you don't know what a particular feature corresponds to. You can learn more about this in Equality of Opportunity in Machine Learning by Professor Moritz Hardt at UC Berkeley. There can be an overwhelming magnitude of uncertainty in machine learning. 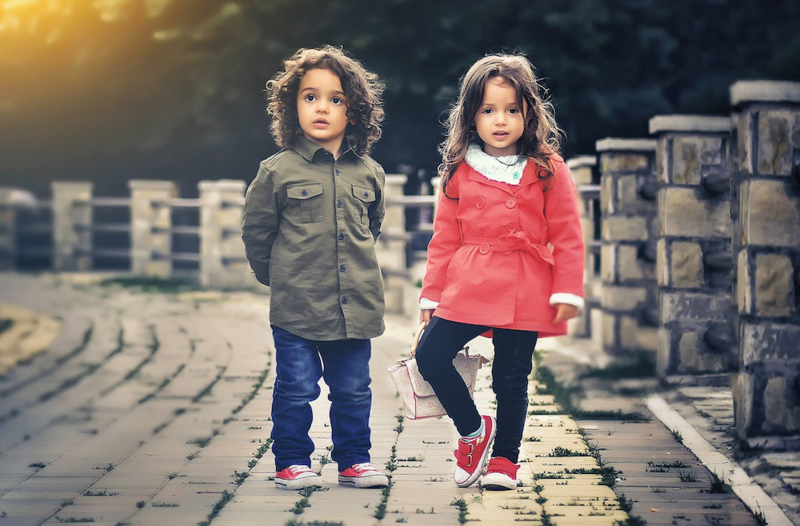 To understand this randomness and complexity, you'll have to develop both mathematical intuitions and probabilistic thinking skills. As a practitioner, it is up to you to dig into the theoretical underpinnings of machine learning.